The term “hybrid” is defined as something that’s the end result of different components combined to produce similar but improved results of the initial creation. A hybrid car, for example is powered by both an electric motor and an internal combustion engine, which relies more on renewable resources, reduces gas consumption and emits less pollution. Good for your wallet and good for the planet. Today’s hybrid mattresses begin with a base coil system (pocketed or inner spring coil) with varying combinations of memory foam, latex and/or gel on top to create more resilient comfort layers. These diverse layers work together to provide significantly improved pressure point relief during sleep, which reduces tossing and turning. The spring base gives the hybrid its bounciness (good for your joints) and contouring support (good for your back). While each layer of a hybrid mattress can deliver a great night’s sleep on its own, combining them improves their effectiveness and extends the life of the mattress. Some mattress experts feel that hybrid mattresses reduce the chance of body impressions because the construction materials support each other in ways we’ve never seen before. Is a hybrid mattress right for you? Your current mattress is no longer comfortable. You enjoy the feeling of memory foam on your joints but don’t like how hot you are night. You enjoy the buoyancy of springs but can’t stay warm at night. You like to be on the cutting edge of technology – even at night. Even though the term is relatively new, hybrid mattresses have been around for a long time. 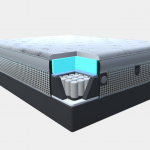 Mattress manufacturers have used various combinations of foam, latex and springs for decades and the term “hybrid” simply points to a hyper-focus on tweaking that “best mattress” recipe. If we add more foam or latex or springs and reduce something else, can we improve the sleep environment? 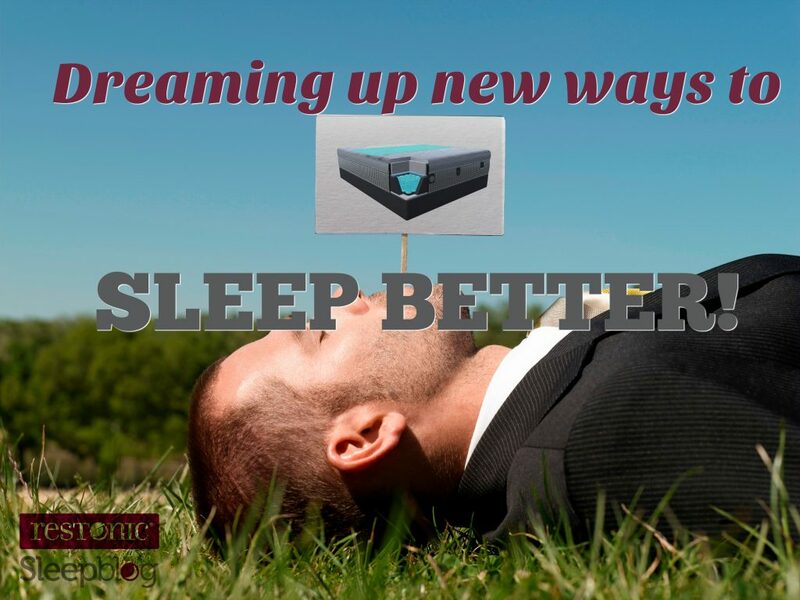 If we add cutting edge technology like Outlast®, TempaGel™ or Isotemp™ foam, how will that improve the mattress even more? Foam layers improve overall comfort – Most hybrid mattresses now include foam in the top layers to provide consistent comfort across the entire surface of the mattress. Center coils are important – Sales people may refer to coil variations such as Bonnell (hourglass type), continuous wire and individually wrapped or pocketed springs but better hybrid mattresses have a thicker gauge coil in the center third. At Restonic, we call it the Marvelous Middle. Cooling technology works – New technologies, such as Outlast®, TempaGel™ and Isotemp™ foam help regulate temperature in the micro-climate of the bed. Folks who tend to sleep hot, report a cooling effect while those who shiver and shake throughout the night are able to maintain adequate heat. And after you’ve bought your new mattress, don’t forget to write a mattress review to help other mattress shoppers make a smart purchase.